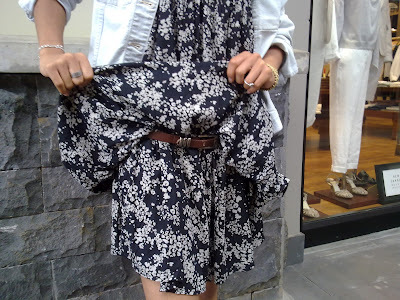 |bfm| breakforlamode: Street Style: DIY Dress From A Maxi Skirt. Yesterday, while i was doing some shopping with a friend of mine, I met some girl who was working in a shop. She was wearing a black dress with white patterns, a denim jacket and slip-ons. I know, I know, this is not very outstanding... Except that this dress was actually a maxi skirt! Yes, we all have a maxi skirt, or even a few, roaming around our wardrobes which we do not wear anymore because it is so 2009 or simply not practical. 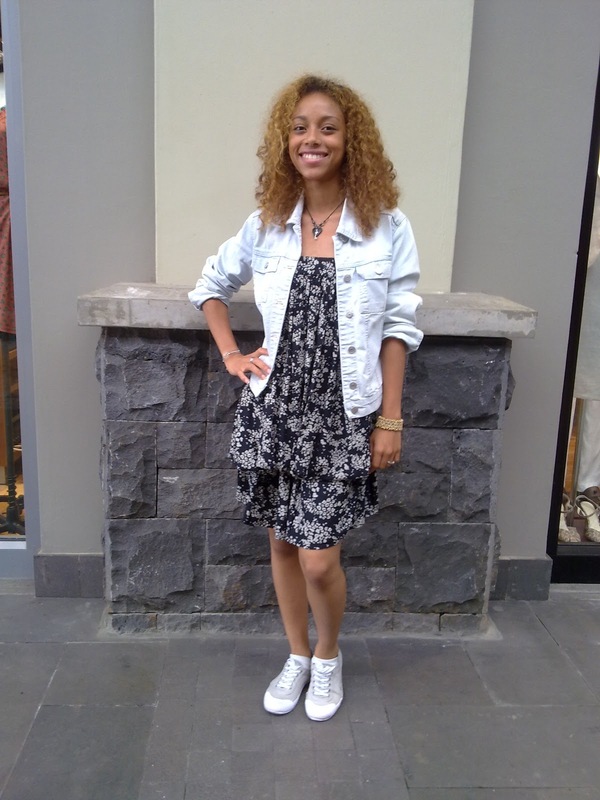 So, I got quite inspired by the way this girl, Dorianne, was wearing hers. Ladies, for some of you, it's summer right now and you might want to show some leg or wear your skirts in a more creative way. So, here are a few pictures to show you how to do so! As you can see, she used a belt in order to obtain the two layers. If you want the result to be permanent, you can also sew the skirt. She wore a Burton Jeans jacket and a Vertigo skirt. If you want a more 'rock' or 'festival' look, you can wear these with a fedora and any boots or biker boots of your choice instead of slip-ons. My personal choice would be Dr Martens boots or cowboy boots. This look can also work with a leather jacket.